Guide: bulk promotional chocolate bar prices. 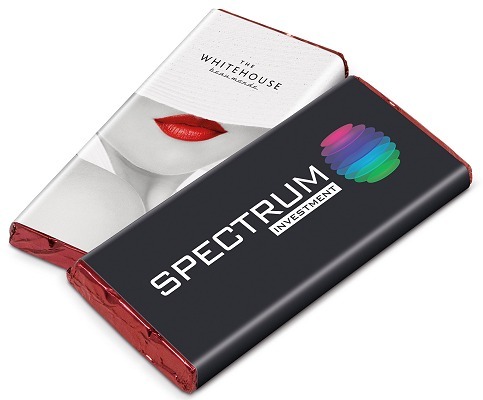 These bars of chocolate are logo printed with your own promotional design on the paper wrapper using digital printing. The chocolate is wrapped in brown foil over which the paper label slides. Ethical Fair Trade chocolate makes a strong, positive statement about your client's brand.